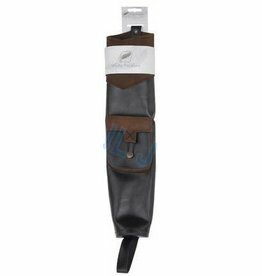 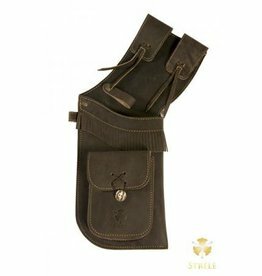 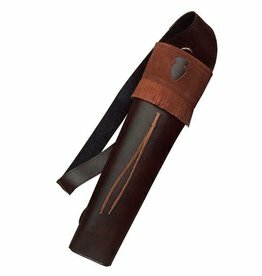 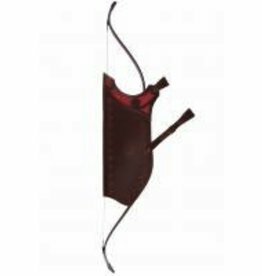 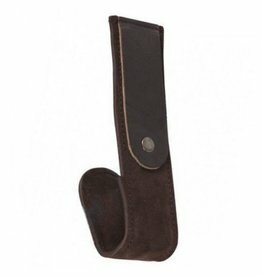 Holster for traditional horse bow. 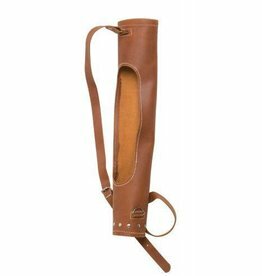 Made of thick full grain natural leather, with embossed oriental ornaments and leather/suede applique. 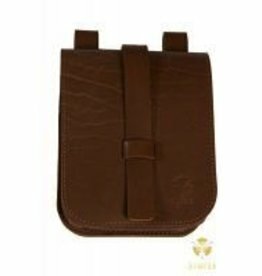 These bags are worn on the opposte side as the quiver is.